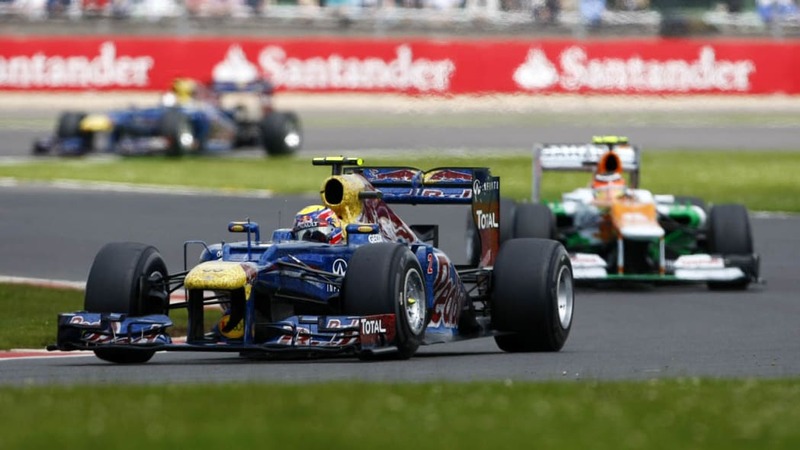 The British Grand Prix could be considered the sport's home race. 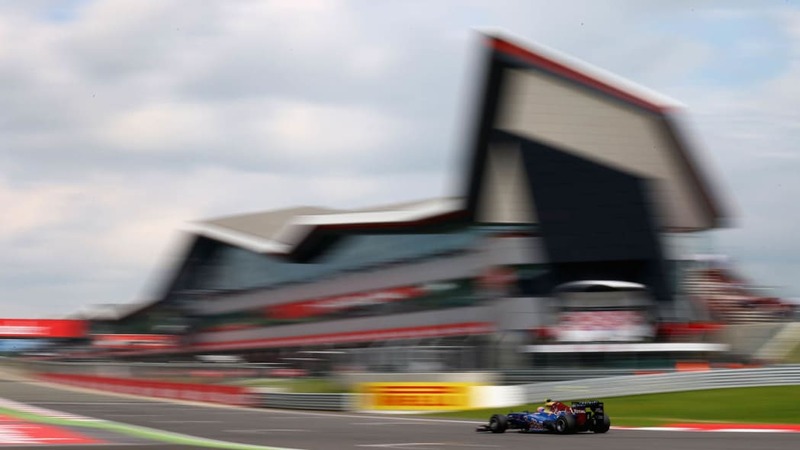 That's why Silverstone, as behind the times as it may be, is still on the calendar, and why so many elements within the sport are keen on having a race in London. 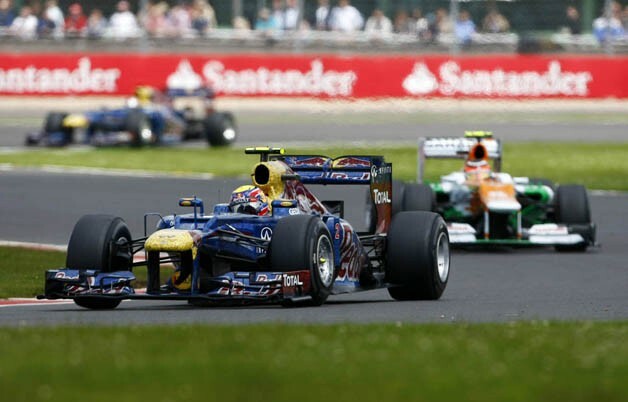 Because while other races come and go, F1 could not do without a British Grand Prix in some form or another. This year's came hot on the heels of the Goodwood Festival of Speed, where several drivers were on hand to demonstrate Formula One machinery old and new. 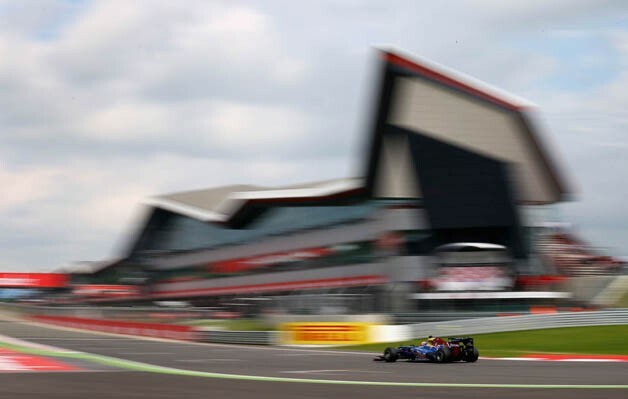 From there it was on to Silverstone where the real action took place today, taking a season jam-packed with action one step closer to the halfway mark. Keep reading to see how it went down. A rain-drenched qualifying session on Saturday saw Fernando Alonso, fresh from his win in Valencia, take pole position away from Mark Webber, with Michael Schumacher taking a surprising third position. Defending champion Sebastian Vettel could muster no better than fourth, with Felipe Massa landing his Ferrari an admirable fifth ahead of Kimi Raikkonen in sixth. 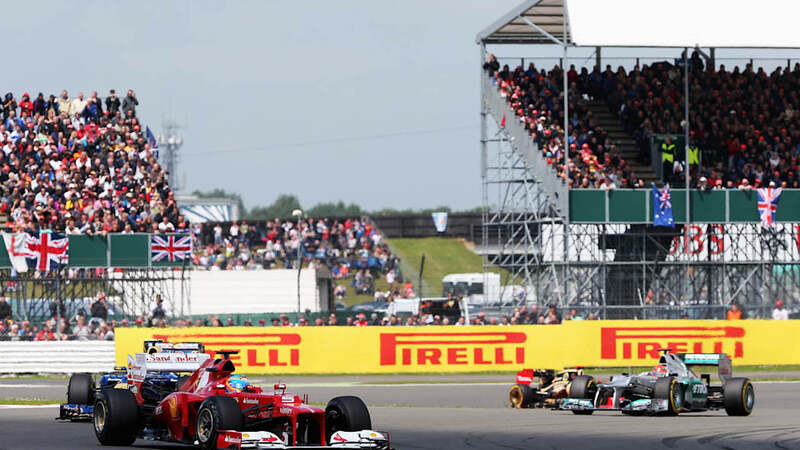 Pastor Maldonado, Lewis Hamilton, Nico Hulkenberg and Romain Grosjean rounded out the top ten as Nico Rosberg and Jenson Button managed no better than 13th and 16th, respectively. 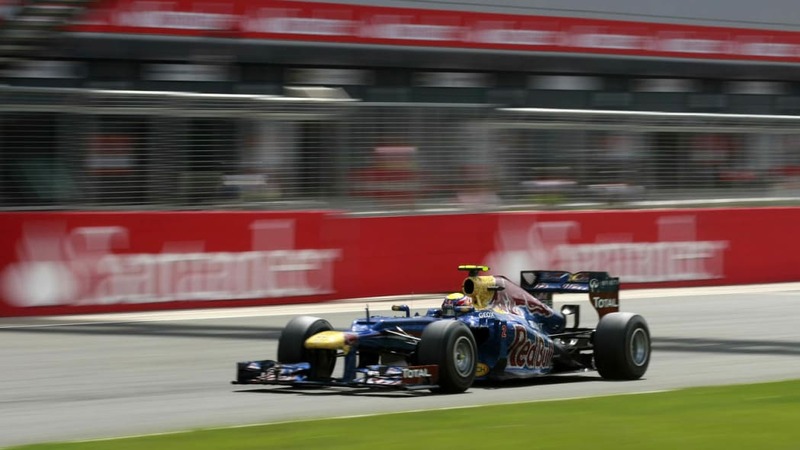 Vitaly Petrov was disqualified due to engine failure. 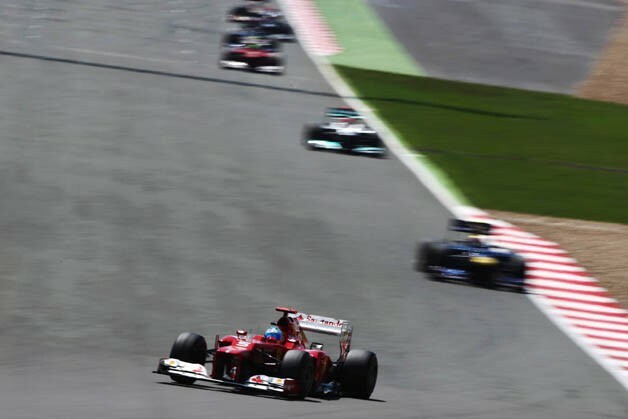 Off the line, former teammates Massa and Raikkonen brushed, sending Kimi downfield as Felipe moved up past Sebastian Vettel. In the ensuing melee Paul di Resta popped a tire and damaged his suspension. Force India swapped the former but the latter ended up pushing the former DTM champ into retirement. 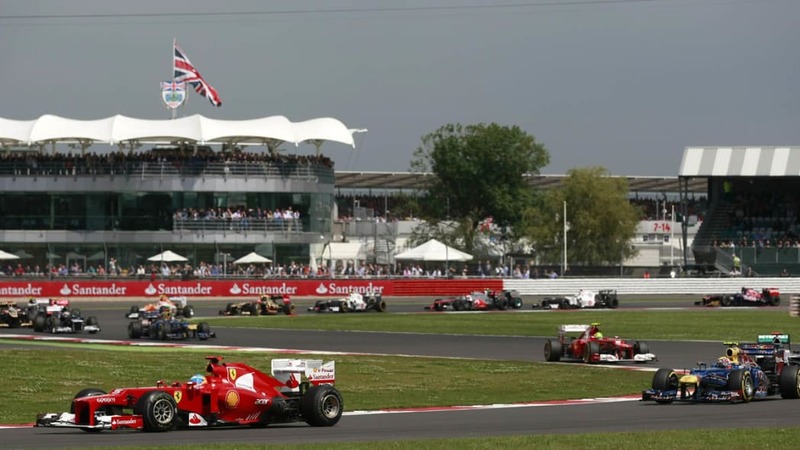 After dogging his former mentor for eleven laps, Massa finally made it past Schumacher for third place as the first round of pit stops commenced. 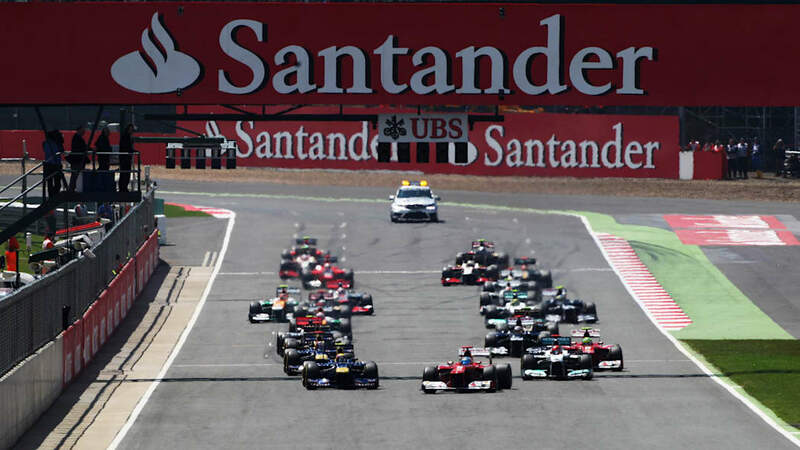 Lap 12 saw Pastor Maldonado and Sergio Perez make contact and spin. Maldonado made it to the pits and back out on track, but Perez was down for the count. 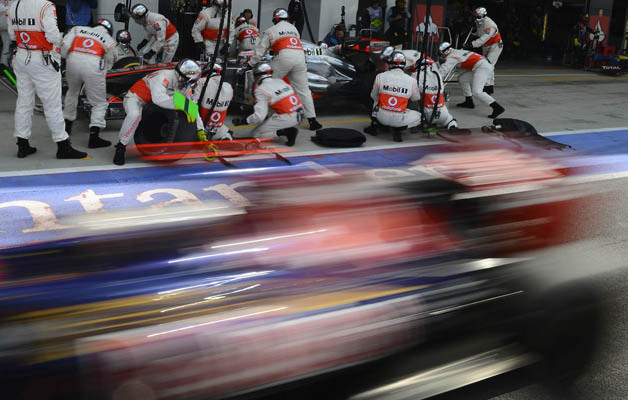 With the bulk of the field completing their mandatory pit stops and swapping in fresh rubber before the halfway mark, a tight battle erupted for fifth place between three former champions. Both Raikkonen and Hamilton passed Schumacher in quick succession, but everyone would be making a second stop on this high-speed circuit. 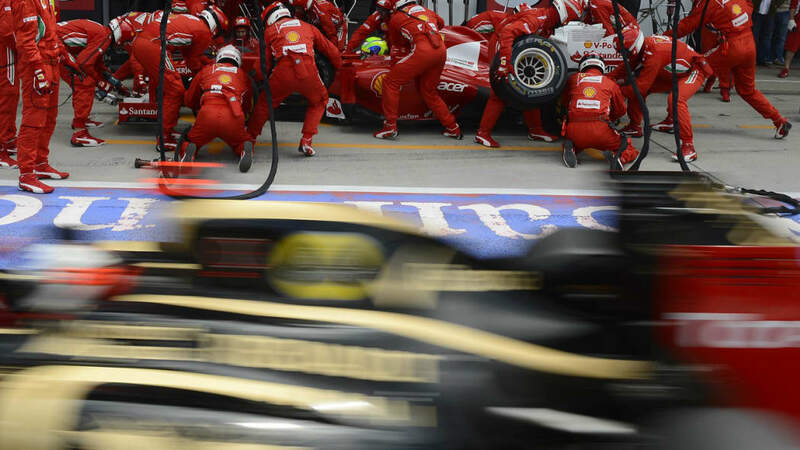 The second round of stops was without incident until Kamui Kobayashi ran down a series of his own pit crew members. 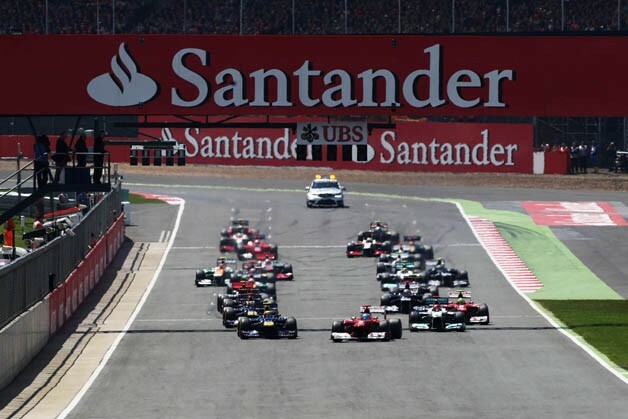 The closing laps saw Schumacher pass Hamilton for seventh place after falling behind the pack, but the biggest drama came the following lap when Mark Webber narrowly passed Alonso for the lead with just four laps to go. 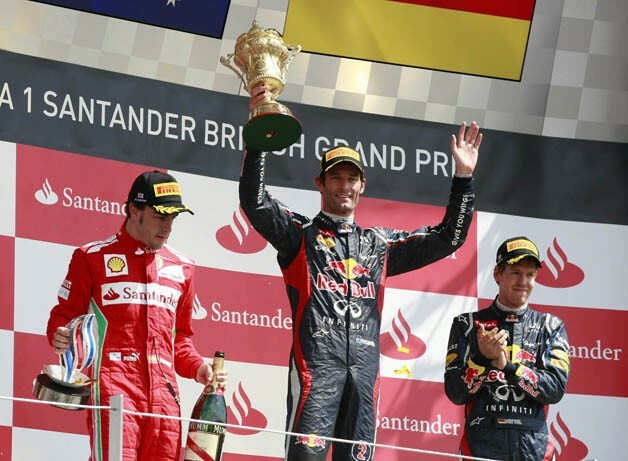 Webber held on to take the win. 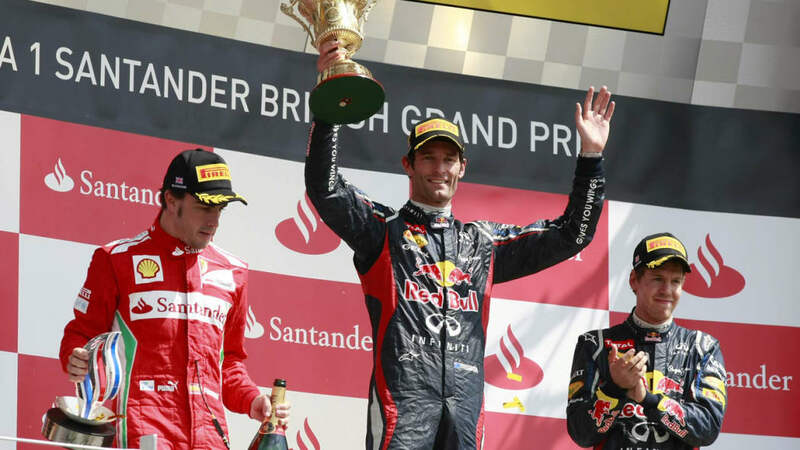 Alonso finished a hard-fought second, and Vettel made it a solid podium for Red Bull. 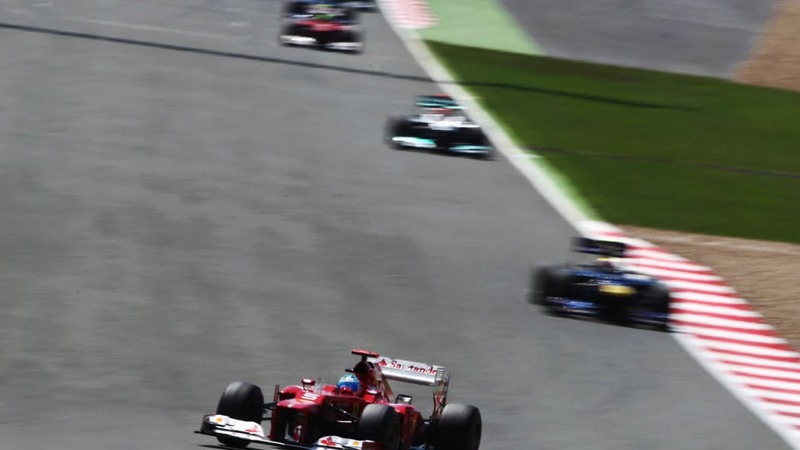 Massa came in a strong fourth – his best result since the 2010 Korean Grand Prix – followed by the Lotus pair of Raikkonen and Grosjean. Schumacher took a seventh place finish that, while respectable, failed to live up to the promise of the third position in which he finished the last race and started this one. 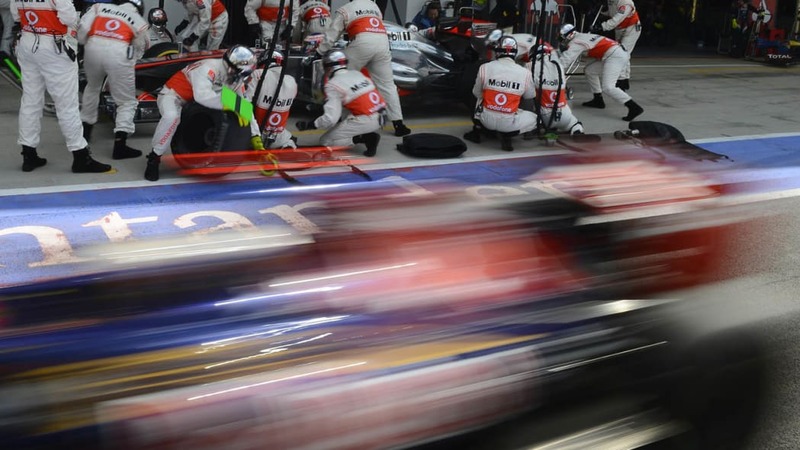 The remaining points were divided between Hamilton, Senna and Button. 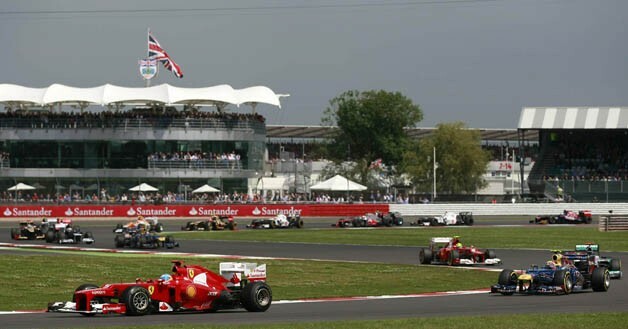 The results leave Alonso still at the top of the standings, but his lead diminished at 129 points to Webber's 116. 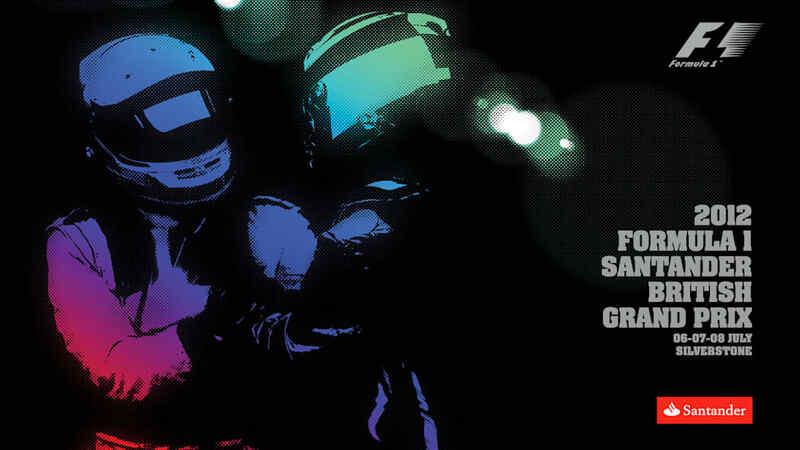 Vettel trails with 100, Hamilton with 92 and Raikkonen with 83. Red Bull's lead in the constructors' standings, meanwhile, is further entrenched at 216 to Ferrari's 152, Lotus' 144 and McLaren's 142. 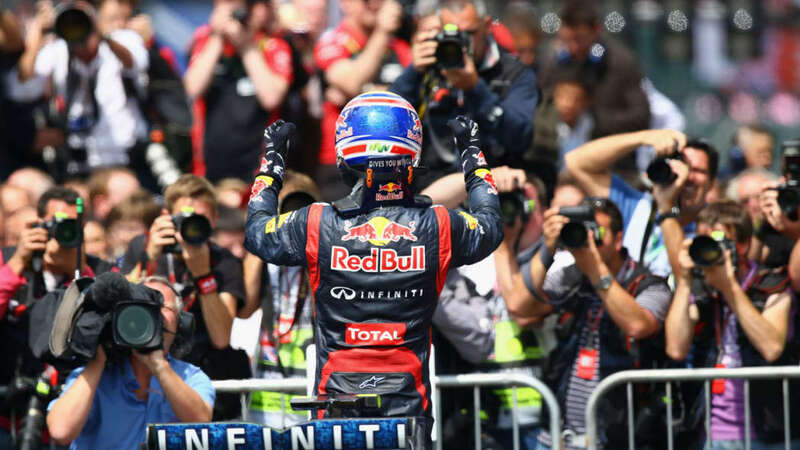 Watch this space for coverage of round 10 at the German Grand Prix from Hockenheim on July 22.